Get ’em while their hot! Contact me and we can personally design your Gi with up to five separate designs, duplicated if required (ex. both shoulders). For the ultimate Gi we have a small supply of blank white War Kimonos (my favourite fit on the market). 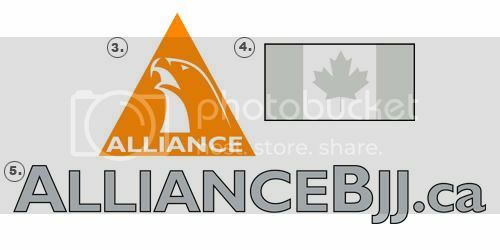 That is to say, there are absolutely NO patches on it to begin with – total customization. Once those run out you can further decide to embroider your existing gi any way you’d like. Any thread colour(s), placement and minor sizing changes are possible. 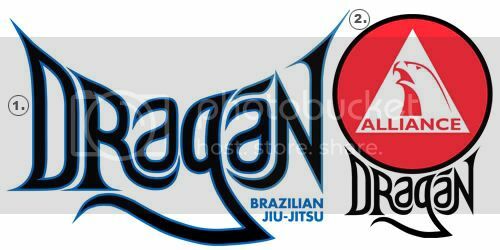 See images below for the designs; 1) Large DRagaN BJJ logo – two colours, 2) Alliance/DRagaN combo – two colours, 3) Classic Alliance logo – one colour, 4) Canada flag – two colours, 5) alliancebjj.ca – two colours. *Get ANYTHING embroidered with those designs; Hats, Hoodies, T-shirts, Jackets, Shorts, Cars, Your Skin, ANYTHING!! !